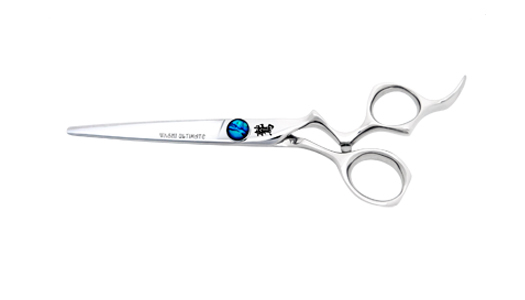 Our #1 selling shear features the most Comfortable Handle Design you will ever experience! This is the Ultimate Cutting Tool. Made in Japan from Authentic Japanese Hitachi ATS-314 Steel. An edge so sharp it MELTS AWAY THE HAIR. Perfect for Slide Cutting, Wet or Dry. Features Washi's New Anti-Push Edge. This Shear will outperform any shear on the market today!